Let’s face it. I already know a lot about this area of history. I know most of the chronology and the sides that people were on. Or, at least, I can recognize the names and piece things together from there. I didn’t really need to read this book. However, I just really love Dan Jones. I think he’s a great author. He puts his great voice into the work, and if you’ve ever seen anything that he’s been in as a historian then you know what I mean. And, he knows how to make things simple, but not too simple. I think that takes a very good author since most just toss you in and hope you figure it out. Jones does that, but he also tries to explain things. Since I find this era highly interesting, I would have rated it highly no matter what. Then there’s my love of Dan Jones so it means that I’m going to enjoy it. The only reason it got that very picky half star taken off was just that I wish it had gone more in depth. At times, it felt like an overview when I wanted more to it. I expected more, too, thanks to how long it is on my Kindle. Again, a picky detail from someone who already knows tons about this era (I would never say I know everything because there are people even more drenched in it than I am). Just that I would have liked more. 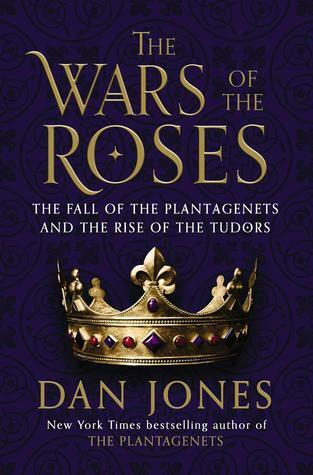 A good book to start off with to whet your interest, then you can get to books about specific people or monarchs that catch your interest off this.